Great grip strength isn’t something an athlete is born with. It needs to be developed like any other part of strength training. 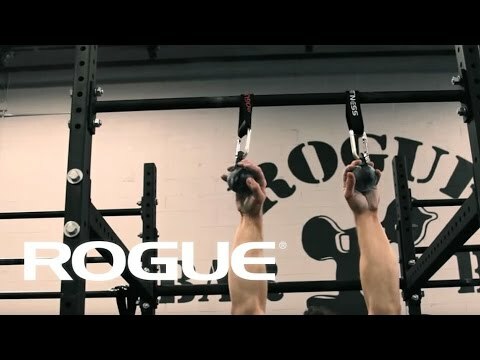 With Rogue Cannonballs, an easy-on/never-off strap system allows for a wide range of functional grip training exercises. 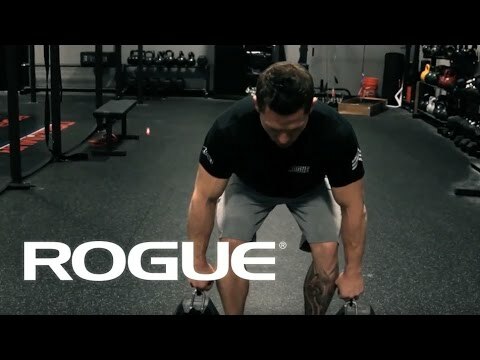 You can use them for pull-ups or attach them to a barbell, kettle bell, or dumbbell to enhance grip strength across nearly any part of your regimen. Watch Video: The grip system set-up for Cannonball Dead Lifts. Rogue Cannonball Grips is rated 4.8 out of 5 by 32. Rated 5 out of 5 by Pozzer from You will be happy you did I bought these and at first had to use a band to hep with pull ups. Because to my surprised my grip was not as strong as I thought is was. After a few months of work I could stop using the band and man did my hand strength increase. Rated 3 out of 5 by JoeG25 from Possible Quality Issues I purchased these and they are awesome. They seem solid and durable. They will definitely improve my grip with continued use. I have two issues. One of the cannonballs rattles. It sounds like there is a screw or piece of metal moving around inside it. The other is quiet, no rattle. The rattle does not affect the exterior of the product and I will not return the product. However, this would lead me to question the construction of these products and other Rogue products. Secondly, the straps could be a little cleaner. They are robust straps, but there are flaps that aren't sewn down, making the strap unnecessarily bulky, which can be annoying. I would suggest to others to use climbing slings. They can be bought in many lengths and used for many different applications. I hope Rogue reviews this and makes the proper adjustments in quality control. Also, I hope that they continue to improve their products based on customer input. I have numerous Rogue products and will continue to purchase from them. I just hope they keep their quality standards high for the prices that we pay. Rated 5 out of 5 by Clydesdale from Another Brutal Product from Rogue My weakness has been my grip strength. As my lifting has progressed to heavier weights my grip has been a limiting factor and I have resorted to using lifting straps. They have proven to be a double edged sword as my grip strength never seems to catch up! Spring grips or rubber squeeze balls just doing seem to help with the hang strength needed. Enter the Cannon Balls. Nothing I have used has been as effective or intense as these for working the forearms and grip strength. Even as I sit here I am having a hard time typing because my fingers aren’t moving right after a workout. 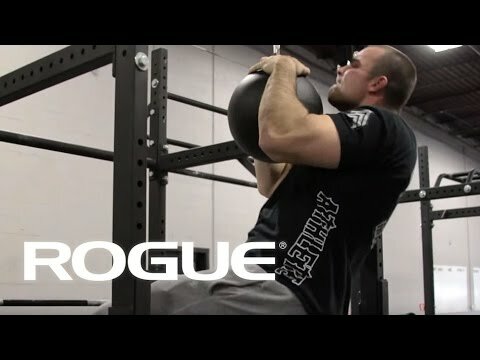 The Cannon Balls with Carabineers work with any dumb bell, kettle bell or pull up bar. If you want to simply work on grip strength use them for Farmer Carry or get brutal and try Farmer Carry to the fourth floor, switch your grip and carry the weights back down! After a month of use I have seen huge improvement in my grip strength. I would recommend having some lifting chalk as they do tend to get a little slick. As with everything I have purchased from Rogue, the quality is unmatched and Rogue’s service unparalleled. Rated 5 out of 5 by ReelsurReal from Required pullup accessory I recently started getting back in shape 3 1/2 months ago after two years of being idle. At the time, I could only do 3 pullups. I am now able to do 17... still a little short of the 20 I was able to do 2 years ago. Even so, I was only able to do 2 pullups with these Cannonball grips when I first got them! I am up to 6 and feel that they have made a big difference in my grip strength in only two weeks. A must-own in my book. Rated 5 out of 5 by Mikk from challenging I call them "balls". Try to chin up holding on to them and you will understand real quick that it requires - to do it on this "appliance"
Rated 5 out of 5 by Joe Jack from Up-Right Rows Besides all the other exercises lifters have mentioned, attach these cannonballs to a loading pin w/straps or chain and do a few sets of Up-Right Rows with them. Rated 5 out of 5 by Boyinblue from Like nothing else on the market!! THE BEST!! These are my favorite for grip strength, I prefer these over fat grips, the fat grips are good, but these are GREAT. I use these for pull ups, before my injuries I did weighted pull ups with 22 pounds, I did 50 pound dual KB farmers walk. I love these. You can use them in so many ways. My gym wouldn't buy them so I got them my self. (I'm a personal trainer /student at a University). Worth every penny. Start light! then earn the right to add the weight. I'm working my way back up with these. I got them with the straps and the diamond carebiners. Rated 5 out of 5 by MICHAEL PLACZEK from Really Works the grip Given to me for Father's day last year. I've kept them hanging from my pull-up bar. Love them. They look and feel indistructable. Occasionally also take them for a farmers carry of a single kettle bell while walking the dog. If ever there is a question whether the cannonball grip is worthy, just ask yourself after a couple sets of cannonball grip pullups, 'could I have done more regular grip pullups on the bar without the cannonballs?' If the answer is "yes" (it will be) you know you are really working your grip and forearms with the cannonballs.